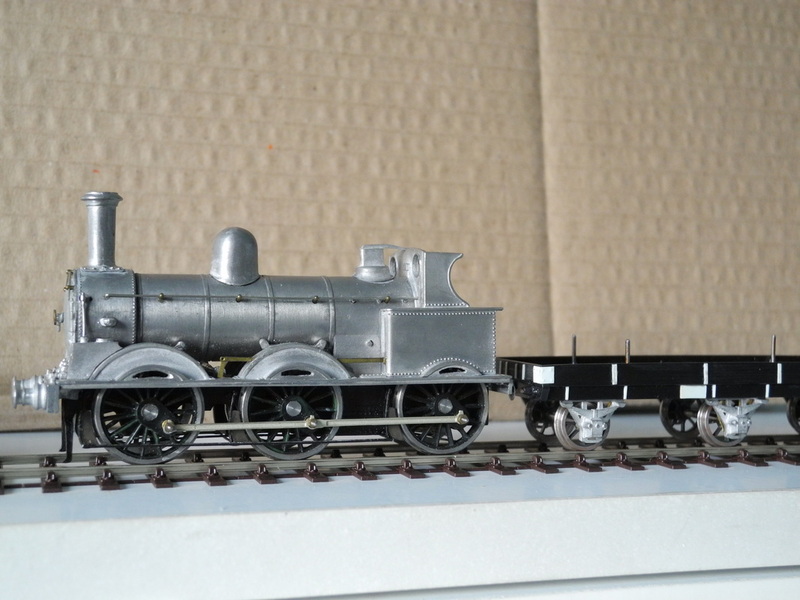 LNWR DX Goods engine made from a whitemetal kit; 7 inches long over tender; EM scale 4 mm/ft; track gauge 18.2 mm. 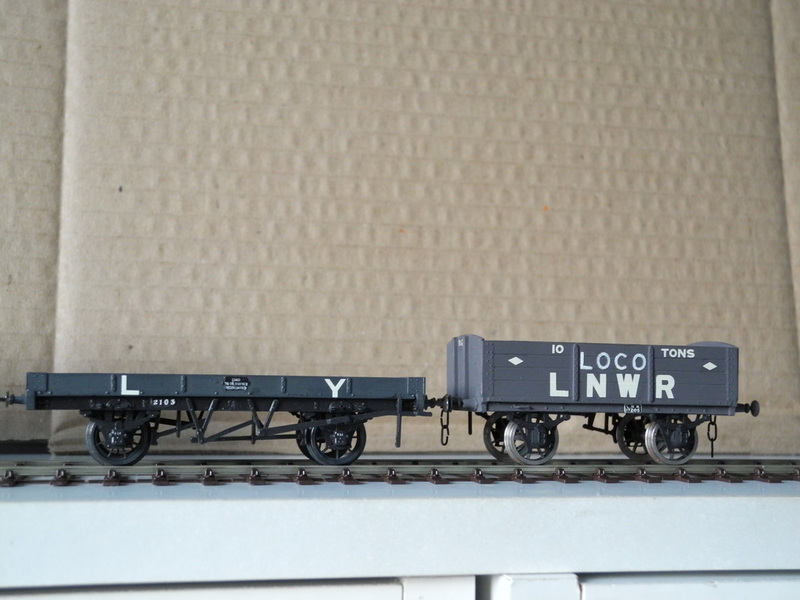 LNWR wagons made from plastic kits; each wagon about 3 inches long; EM scale 4 mm/ft; 18.2 mm track gauge. 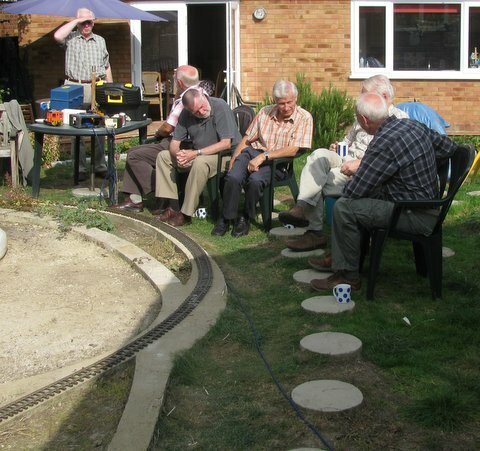 A corner of Geoff’s garden railway – Jacobs Ladder Company works with a siding on the Tringford & Startops narrow gauge railway [16 mm/ft scale; 32 mm track gauge]. “Accucraft” live steam model locomotive “Countess” [as running on the Welshpool and LLanfair railway] running light engine on Pete S’s railway. 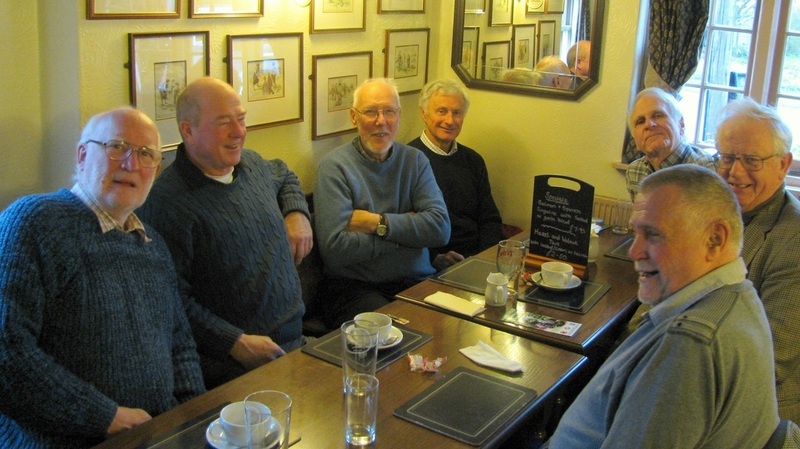 All the active members of the AC Railway Modellers group enjoying Christmas lunch at the "Half Moon" Public House, Wilstone - 3 December 2013.